Thanks to a major feature update, the iPhone 6 and iPhone 6 Plus boast a lot of qualities, but it’s certainly not waterproof. Maybe this is a feature that Apple will include next year or the year after, but for now, dropping your Apple handset into a swimming pool is likely to draw a grimly predictable conclusion. 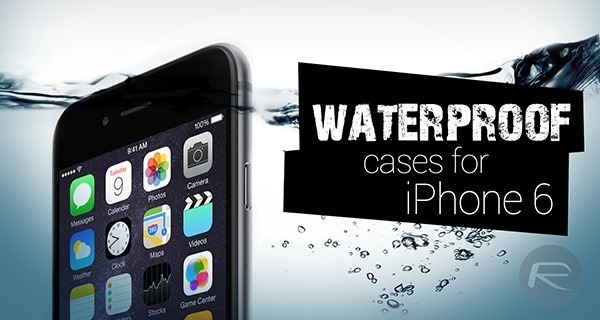 Luckily, third-party case makers are in on the act, offering a vast selection of different shields that can not only prevent damage from everyday drops and whatnot, but offer a waterproofing solutions that’ll maintain functionality even when the tide is high. There are handfuls of good cases on the market, so in order to help you guys find the very best, we’ve whittled it down to three. Now, we’re not talking about splashproof, run-of-the-mill cases that purport to offer protection from the elements but aren’t actually fit for purpose; the efforts you see below are all manufactured in such a way that they can cope with some of the harshest terrains. The “frē” case for iPhone 6 costs $79.99, but right out of the box, you get protection from four different hazards. It’s not only waterproof and dirt-proof, but is also snow-proof and shockproof, meaning that whether you’re a rock climber or extreme sports fanatic, you’re well and truly covered. It’s also submersible in up to 2 meters of water for one hour, so whilst you wouldn’t go deep-sea diving, you can comfortably use your device in the bath knowing that your device is less likely to drown than you are! Another case that touts itself as an all-weathers job, and can handle water up to depths of 5 meters. It’s quite stylish, or as stylish as one could expect of such a heavy duty case, and if you’re a bit of an adventurer, be sure to check this one out. 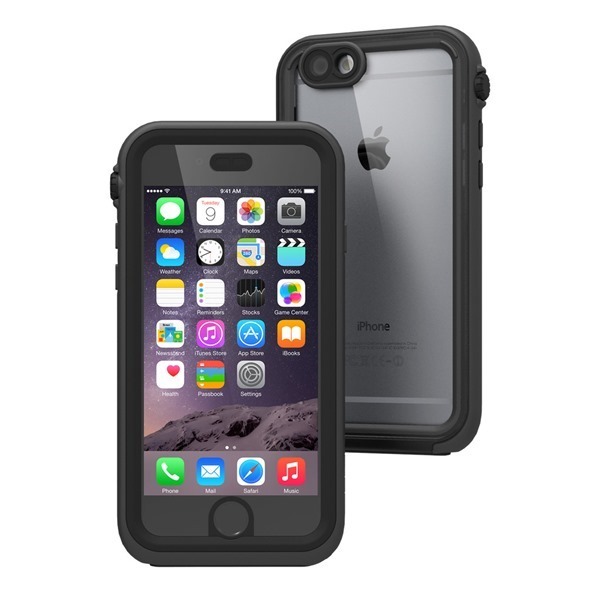 The Catalyst case for iPhone 6 will ship in January and comes with a price tag of $69.99, and if you’re in the ownership of an iPhone 6 Plus, then you’ll have to stump out $74.99. Costing five cents under $100, the Aquatik doesn’t come cheap. But when you consider the repair cost of a water damaged iPhone 6, it’s a snip. It’s water and dust-proof, so will cope with many different environments, and notably, includes special engineering so as not to compromise the audio experience through your loudspeaker. The case is only available for iPhone 6 users, while iPhone 6 Plus users will have to wait this one out. 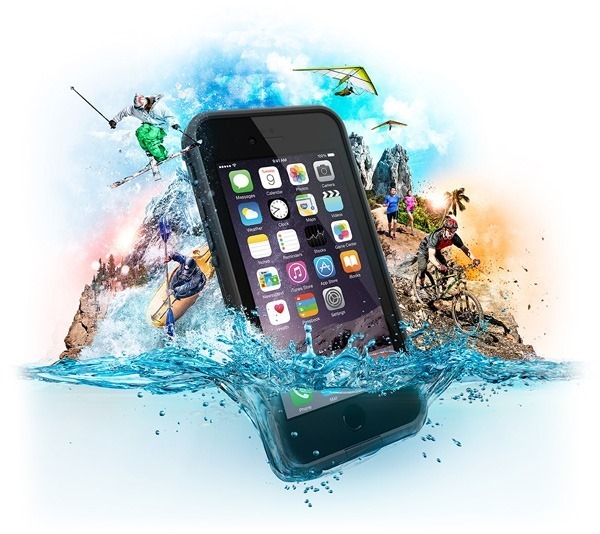 a buoyant phone case would be the logical next step for waterproof cases so you won’t even lose the iPhone in the ocean! Did you test these cases or just take the manufacturers word for how they perform? no love for iphone 6 plus ? My lifeProof just arrived yesterday! I wish I know about the rest before. I’ve been researching and I think LifeProof was the best option. Also I’d like to add that LifeProof fully supports Touch ID though it is covered. Cool eh? I bought a Lifreproof case for my iPhone 5, and I would seriously suggest you look for other choices. The rubber on this garbage product peels off by ITSELF! And this is regular usage. 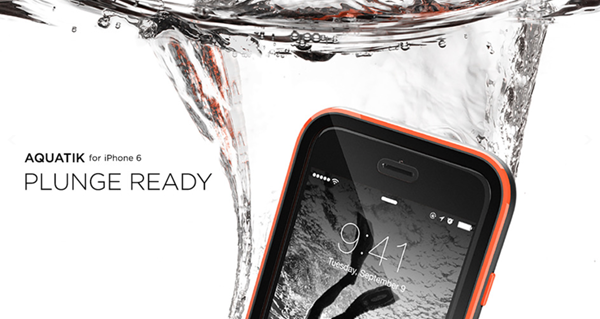 The lifeproof lifejacket does exactly this. It comes in shock orange so its also quite easy to spot if you drop it in the ocean. Its also cheaper though its quite large.